Atmospherics: On the 2nd and 3rd floors of the building that houses Ogaan, the fashion store, Coast Café is a recent addition, being a mere three years old. 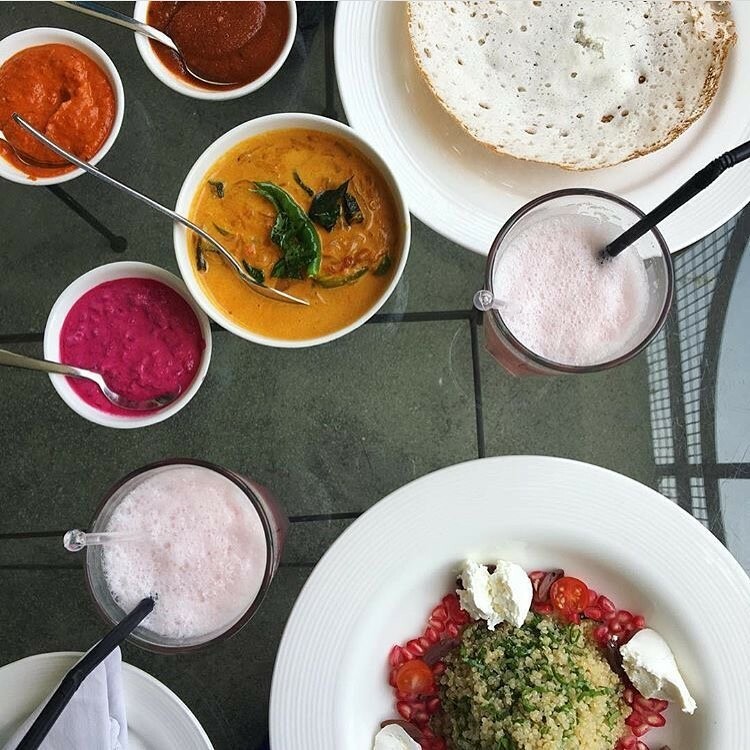 It is obvious that at least one chef is from Kerala, because the entire one page menu of Kerala specialities are spot-on authentic and the ingredients like kodampuli or fish tamarind are in place. For all that, and despite the name, Coast Café is not just another South Indian joint wafting agarbati. 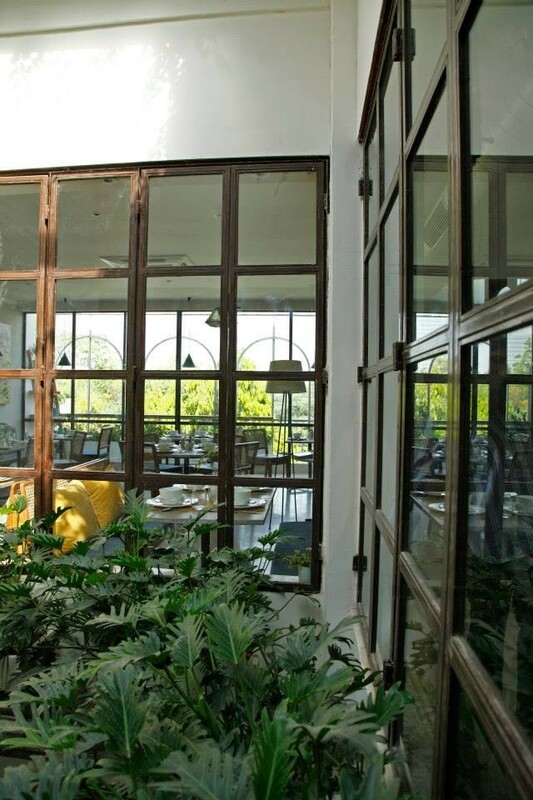 The modern, airy interiors, joined by an elevator and a spiral staircase are neutral and a table of four can eat their way around the world, not merely sticking to Kerala. 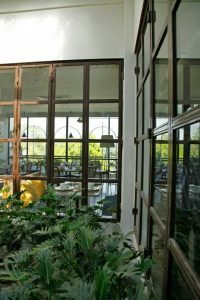 Service is efficient, if not particularly personalized or friendly, but those who visit this place range from shoppers at the high fashion Ogaan below, to Hauz Khas Village regulars, to nature lovers: during daylight hours, the view from the terrace is a sea of treetops: rare to find in Delhi. Table talk: I did not even glance at the tacos, salads, burgers and cakes menu – I just wanted to try the Kerala food. On the whole, it was tasty, except for liberal touches of Delhi intruding. The cut of the fish, for one, was too large and the prawns should have been of a smaller size and greater in number. That apart, the flavours were all there. Coast Café prawn moilee (Rs 480) was a curiously reddish colour instead of the pale lemon that is the norm in Kerala. Also, though it tasted interesting enough, there was a sweet-sour tang to it that is hardly typical of a moilee. For those who are experimenting with the cuisine for the first time, I suppose it is fair game. Malabari kokum fish curry (Rs 580) did have the unmistakable smokiness of fish tamarind in it. 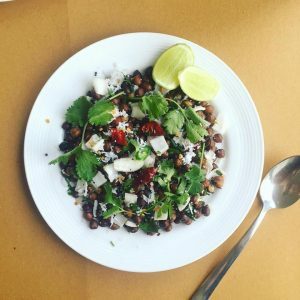 In Kerala, a curry of this sort would be far more spicy and the gravy thinner, so to that extent, liberties have been taken with the original recipe. The best dish was the sukka mutton fry (Rs 420) that had shavings of dry coconut in a slightly spicy stir-fry of mutton that bore the most resemblance to what one would be served in Kerala.